Are you up for the ultimate adrenaline filled challenge? 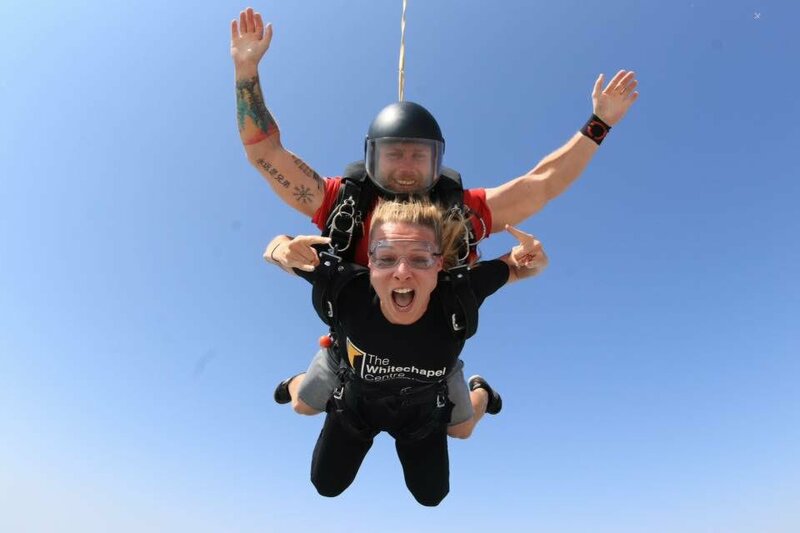 Do you dare to take a tandem sky dive at Black Knights Parachute Centre in Lancashire, with stunning views the British coastline? Invite friends and family to take part with you or just for moral support and the celebrations at the end. This is your chance to have fun and raise money to help The Whitechapel Centre end homelessness in Liverpool. We are working hard to make sure no one needs to sleep rough in Liverpool, but there are still many people who need our help. There is a non-refundable Entry Fee of £50 per person and ask for a minimum of £400 to raised through sponsorship which must be achieved 6 weeks before your jump for you to take part. All participants must be over 16 and weight and medical restrictions apply. Call our fundraising team on 0151 207 8664 to find out more.